I believe it’s in your interest to take a breathalyzer test. While in certain circumstances taking the test will give the police the evidence they need in order to convict you. If you do not submit to the breath test which is required by the law, you may automatically be facing certain penalties including fines, license suspension, loss of your registration, and community service. When you receive your driver’s license in New Jersey, you consent to taking a breathalyzer test whether you realized it at the time or not. In that it is a requirement of the law, I recommend you always take the breath test when it’s offered. 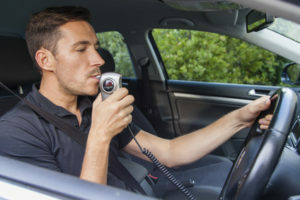 The penalties for refusing to take a breathalyzer test in New Jersey are severe and are combined with the driving while intoxicated penalties that you are already going to face. The first offense for refusing to take the chemical breath test in the state of New Jersey is 7 months to a year of license suspensions, a fine from $300-$500 and a 12-hour minimum of IDRC courses through the state. However, if you refuse to take a chemical breath test in a school zone or cross walk in New Jersey, the penalties for the first offense are much higher. They include 1-2 years of driver’s license suspension, a $600-$1,000 fine and 12 hours of IDRC courses. Those penalties only increase in severity when the refusal becomes your second, third or subsequent event. For example, a person can lose their license for 10 years on their third offense of refusing a chemical breath test as well as face a $1,000 fine and the 12 hour IDRC courses.